What happens after she says “yes”? Together in print for the first time, these four novellas—Take Me, Have Me, Play My Game, and Seduce Me—continue the story of billionaire Damien Stark and his fiancée, Nikki Fairchild, from J. Kenner’s Stark Trilogy: Release Me, Claim Me, and Complete Me. 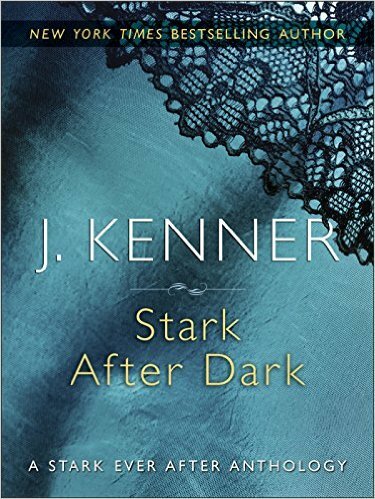 STARK AFTER DARK(Bantam Trade Paperback; On Sale 2/9/16) follows the happy couple from their steamy engagement into wedded bliss, this addictive collection is perfect for fans of Fifty Shades of Grey and Bared to You. J. Kenner is the New York Times bestselling author of Release Me, Claim Me, Complete Me, Wanted,Heated, Ignited, Say My Name, Under My Skin and the novellas “Take Me,” “Have Me,” and “Play My Game.” She spent more than ten years as a litigator in Southern California and central Texas, using her rare free time to indulge in her passion of writing. She lives in Texas with her husband and daughters.